Your home's electricity is a crucial part of your life. Nearly every activity you engage in in a day requires electricity, yet it's so much a part of our lives that we rarely notice it's there, but certainly notice when it's not. As prevalent as electricity is in our day-to-day operations, not many people understand it very completely. This means that performing any electrical repairs besides the absolute easiest without a professional electrician can be a detriment to your safety. Even if you aren't injured during repairs, any loose or faulty electric work can be a major hazard in your home. At Sure Line Electric Group, our electricians are all professionally trained and licensed contractors. They'll be able to tackle any electrical job with speed and precision, leaving your electrical system in excellent condition. Call us today to set up an appointment and we'll show you what quality workmanship looks like. For any jobs from electrical rewiring to ceiling fan maintenance, our Rockville Centre electricians are ready to tackle the job head-on. As professional electricians, it's our goal to provide you with excellent service, from our friendly respectful demeanor, down to the incredible work you'll receive. All of our electricians are licensed, certified, and committed to your satisfaction. Our training and experience allow us to find the source of your electrical problems with speed and efficiency. We won't just treat the symptoms of the problem, but attack it at its core so that you won't experience the same problem in the future. We also understand that for major electricity issues, you need them fixed as soon as possible to resume your normal life, so we've made it our aim to get your problems fixed as quickly as possible. Call us to schedule your appointment with a professional electrician who's invested in doing a professional job. If your electrical panel is very old, chances are it's become outdated. Using a panel that's too old can cause real electrical problems, and can also be very dangerous. Our Rockville Centre electricians can discuss your options with you and decide whether or not you'll need a new panel or an upgrade, based on your panel's specifications, the amount of electricity you use in your home, and local standards and codes. We won't move forward on any job without your approval, and we'll be there to answer any questions you have throughout the process, discussing every decision with you. Call us today and we'll review your options. Our electrical inspections can let you know if there are electrical problems lurking behind walls or up in the ceilings, and if any dangers or complications may be waiting to spring up in the future. Our Rockville Centre electricians will be thorough and let you know of any potential problems they find. 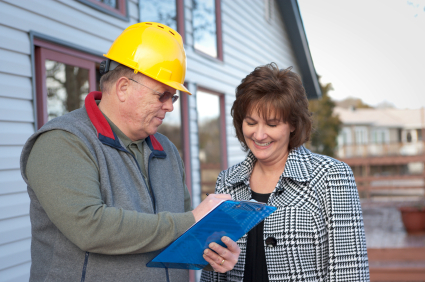 These inspections are especially useful for anyone moving into or trying to sell a home. We'll make sure there aren't any big surprises. Major Rockville Centre Home Remodel - Upgrade Your Electrical Service!